We are happy to announce the launch of new looking self-service and online Help portal for ApnaComplex. With the new design, its far easier for you to search for answers for the questions you might have when using ApnaComplex. 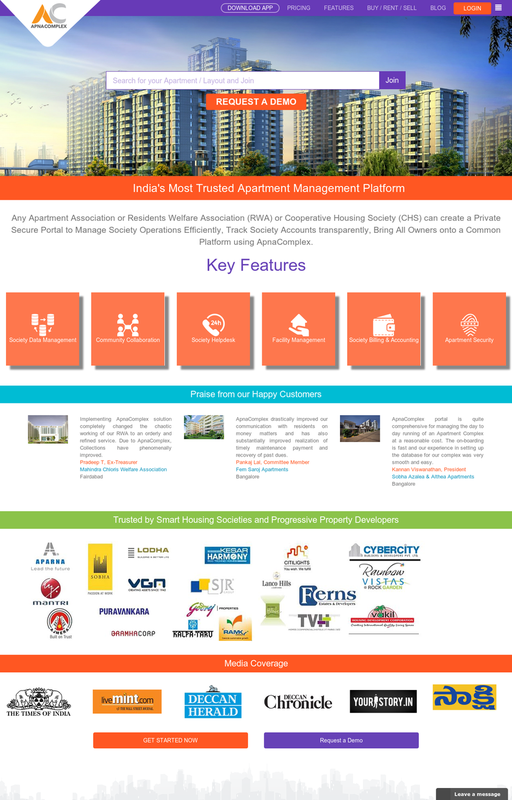 The new design also ensures the help is easily readable over smart phones. This portal will also stay up to date based on various queries we keep receiving from users and based on the new features we keep releasing from time to time. ApnaComplex featured on Bloomberg TV – Rising Stars! Team ApnaComplex is happy and proud for being featured on the Rising Stars program in Bloomberg TV on 28th December 2015. 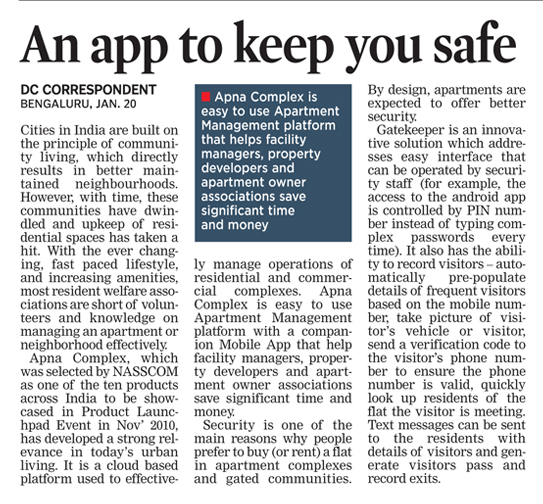 As a part of the feature, Raja Sekhar, our co-founder talks with Abha Bakaya and Priyank Lakhia of Bloomberg TV about our journey so far, how ApnaComplex helps Housing Societies and Apartment Associations to manage more efficiently. Will certainly motivate us to reach newer heights! Some of our users might experience intermittent network connectivity issues with our portal due to an unscheduled network maintenance happening at our providers end. We are in touch with the provider and expecting to get the network access issues to be resolved in by 12 pm IST. Update: The issues are resolved a while back and we are up and kicking now.